Summer is a great time of year for fabulous food. Between all the fresh produce, and grilling your favorite meats, a family can eat pretty well all summer long. For our family, I find we eat a little lighter in the summer. There's more "picking" and less full meals. 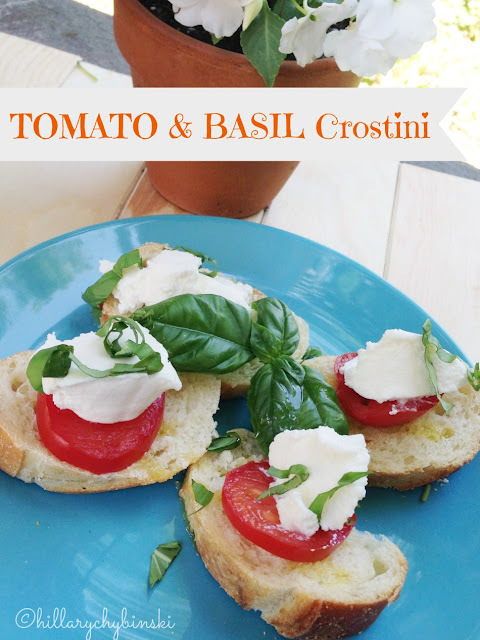 Yesterday, I sat looking at my first batch of tomatoes from my backyard garden and the bunch of basil I picked, and thought, what can I make for lunch? 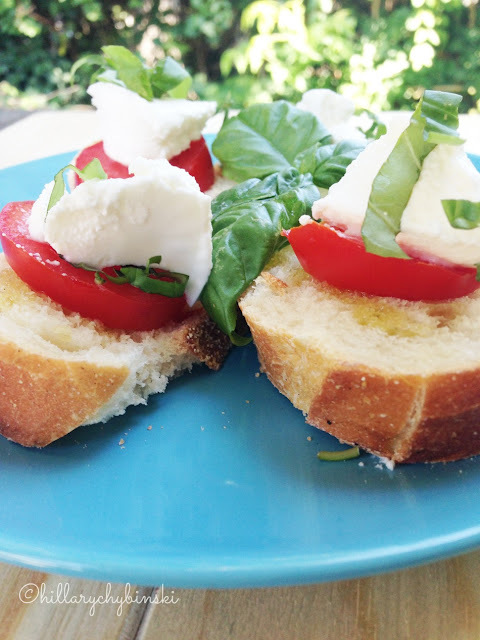 I picked up a fresh baguette and some ricotta at Trader Joe's and made these delicious crostini. Slice up the baguette into thin rounds. Brush each one with a little olive oil - front and back and spread them on a baking sheet. Sprinkle a little salt and pepper over them. Toast the rounds in the oven - 350 degrees for about 15 minutes - you can turn them half-way through. Slice a garlic clove in half, and rub it on the top of each toasted round. Add a slice (or diced) of tomato to each round. Spoon a little ricotta cheese on each. Drizzle a little of your best/favorite olive oil on the top. Sprinkle a chiffonade of basil on the top. Now you have a great snack, light lunch or tasty appetizer. It's perfect to bring to a party or picnic as well, you can assemble on-site. What's your favorite way to use tomatoes and basil in the summertime? This looks amazing! 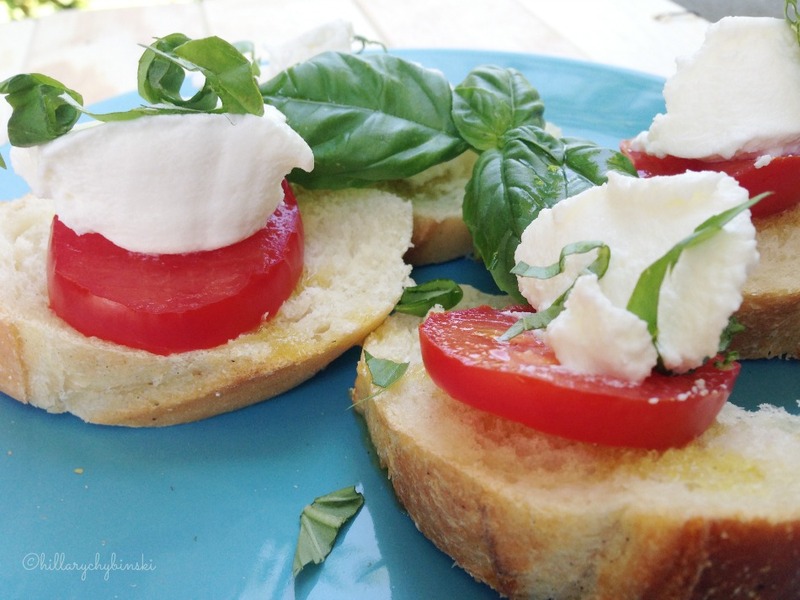 Nothing like fresh basil and tomatoes together. YUMMY!